One of the most important archaeological sites in South-East Asia, Angkor Archaeological Park in Cambodia contains the magnificent remains of the various capitals of the Khmer Empire. Over the years, political and military upheavals, illicit excavation, pillaging of archaeological sites and landmines were destroying the site. Although many monuments are still in need of attention and pressure from tourism is growing, more than fifteen major conservation and restoration projects have been undertaken. 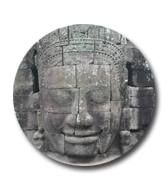 In 2004, the Committee considered that Angkor was being properly managed and that the numerous conservation and restoration activities were successful and the site was removed from the List of World Heritage in Danger. 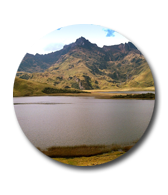 In 2005, Sangay National Park, Ecuador, was removed from the List of World Heritage in Danger as significant measures had been taken to address threats. Heavy poaching of wildlife, illegal livestock grazing, encroachment along the park's perimeter and unplanned road construction were threatening to cause irreversible damage to the natural environment. Today, activities such as hunting, mountain climbing or illegal grazing can only be found in a minimal section of the park, and road construction has been modified to satisfy rigorous international environmental standards. 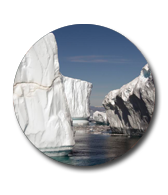 Over the years, the town of Ilulissat experienced a rise in the number of cruise tourists. Without proper management, the growing number of visitors led to difficulties such as attrition, crowding and problems of waste disposal. A management plan (2009–2014) was formulated with initiatives encompassing commercial hunting, motorized vehicles, navigation, recreational activities, research and information. When the plan was presented at a public meeting, many citizens joined the discussion about the management of the World Heritage site. 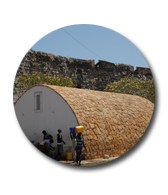 Decades of wars and economic stagnation allowed the former historic capital, on the Island of Mozambique, to lapse into decay. Under a truly multi-donor rehabilitation project – with financing from Japan, Portugal, the Flemish Government of Belgium, the Netherlands and the Union of Luso-Afro-American-Asian Capital Cities – more than 100 local and Mozambican professionals and students were trained in traditional building techniques, using local building materials and decorative principles to restore the fortress and install a new public water cistern. 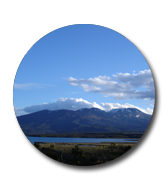 New Zealand’s Tongariro National Park, whose mountains have cultural and religious significance for the Maori people and symbolize their spiritual links with the environment, was designated as the first cultural landscape on the World Heritage List in 1993. The recognition of cultural landscapes as World Heritage sites in 1992 was an important step in underlining the intimate spiritual relationship between peoples and their natural environment. The 16th-century Old Walled City of Shibam, Yemen, nicknamed 'the Manhattan of the desert', has been under threat of destruction because of the abandonment of the old agricultural flood management system in the wadi surrounding the city and the overloading of the traditional sanitary systems. Extensive conservation works implemented by partner organizations have resulted in the restoration of 65 per cent of the buildings, and large-scale flood control measures have been taken in the wadi. 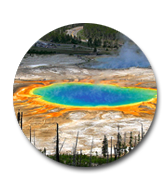 Yellowstone National Park is the nucleus of the Greater Yellowstone Area (GYA), which contains six National Forests, two National Parks, and two National Wildlife Refuges. 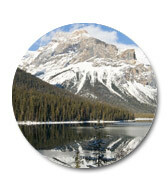 In 1964, to coordinate management of the ecosystem across boundaries, the three federal land-management agencies that operate within the GYA formed the Greater Yellowstone Coordinating Committee (GYCC).A GYCC sub-committee launched, in 2007, a creative approach to developing an ecosystem-wide Climate Action Plan to identify and reduce the greenhouse gas (GHG) emissions: GHG emissions reduction projects were identified by each individual GYCC agency unit, aggregate into goals for each unit, and into ecosystem-wide GHG emissions goals. In this way, each unit not only has complete ownership over the emissions reduction actions in the plan, but also has control over its implementation timeline. The plan has evolved into a template for other environmentally sensitive areas in the country. 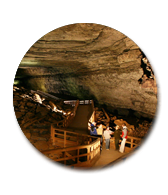 At 390 contiguous miles, Mammoth Cave is the longest cave in the world. Even though it was designated a national park in 1941 and inscribed as a World Heritage site in 1981, 80 miles of the cave and most of its 60,000 acre watershed lie outside the national park boundary. Thus, Park staff developed partnerships in many areas of park protection and management: groundwater, river resources, tourism, research and education. Partners include the Biosphere Reserve Council, made up of elected officials, conservation agents, and business people; the Kentucky Department of Transportation; the Nature Conservancy-Sustainable Rivers; Western Kentucky University; tourism businesses; local schools, and nature conservation volunteers. 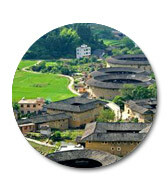 With the goal of effectively protecting Tulou buildings, the local government has used developing the tourism industry as a critical opportunity for restructuring the local economy, and endeavors to build the county into a natural cultural tourist center and an excellent tourist destination rich in Hakka cultural characteristics. To fully encourage community participation in the protection and management of the heritage, the county government established such organizations as the County Tourism Development Office Villager Supervising Team and the Communist Party Member Volunteers. It also made efforts to enhance local villagers’ awareness of protecting Tulou buildings, through bulletin boards, the distribution of information materials and occasional village meetings to view videos about protection. Inscription on the World Heritage List boosted the steady and sustainable development of Kaiping City’s economy and social fabric. 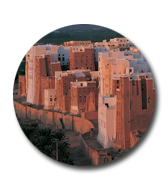 While protecting the heritage site in a scientific way and utilizing the historic buildings properly, the city promoted the development of tourism and related industry, thus providing numerous employment opportunities to the local residents. In addition, the city integrated various cultural resources to develop local tourism and related service industries. For example, local residents are employed to serve as administrators, guides and logistics personnel in scenic spots. They are also encouraged to run farm hotels, and to create Diaolou culture-related souvenirs so that the public can fully participate in the protection of the cultural heritage. The World Heritage status also led to dramatic improvement of local infrastructure. 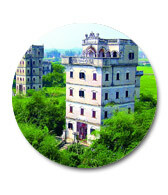 Inscription on the World Heritage List in 1997 has promoted cultural, economic and eco-environmental development of the city and the people living there. It provided the public with opportunities to better understand the Dongba culture as well as the ancient music and handicrafts of the Naxi ethnic minority. This, in turn, has encouraged protection and transmission of this culture. 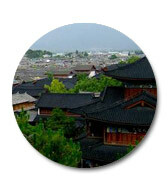 Over 2000 artists in the city have established opera troupes, traditional Chinese calligraphy and art galleries, and cultural product specialty shops. Moreover, the comprehensive development of tourism brought about by the World Heritage inscription has secured steady economic growth. While the city received a total of 845,000 visitors in 1995, the number reached more than 4 million in 2005; by then tourism directly or indirectly provided 116,000 job opportunities to citizens. The Haida people, native to the Gwaii Haanas (“Islands of Beauty,” also known as Queen Charlotte Islands), operate the Haida Gwaii Watchmen Program to safeguard their important cultural sites. The Watchmen, made up of men and women, elders and youth, spend shifts from two weeks up to the whole summer in Gwaii Haanas. They protect the sensitive cultural sites by presenting visitors with a first-hand introduction to Haida culture through sharing knowledge of the land and sea, and their stories, songs and dances. Having started with parties of one or two volunteers thirty years ago, today the Watchmen program is funded from several sources, including visitor fees. 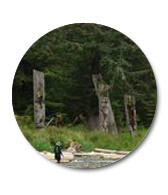 It has its own management and provides seasonal employment for the Haida. The goal of the “Healing Broken Connections” project is to build respectful relationships with the ‘Kluane First Nation’ and ‘Champagne and Aishihik First Nations’ peoples and help them reintegrate into Kluane National Park and Reserve. 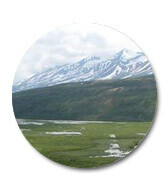 The site became the Kluane Game Sanctuary in 1943. At the time, Aboriginal people’s entrance to the park for gaming and hunting purposes was no longer allowed. Launched in 2004, the four-year project took important steps in welcoming back the members of the First Nations into the area. This was through a series of activities, including youth and elder culture camps, historical presentations and traditional knowledge workshops for Aboriginal people and Parks Canada staff. 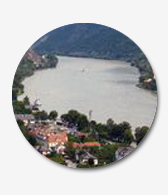 Since 2010, sustainable and nature-sound tourism has been a focus at this site, and a joint German-Dutch project was launched to develop a sustainable tourism strategy for the entire World Heritage property. Meanwhile, the German National Parks introduced campaigns which proved to be successful. For instance, at the Schleswig-Holstein Wadden Sea National Park, more than 200 tourism and shipping companies work in close collaboration with the national park administration. They offer high-quality service and regional, seasonal, fair and environmentally compatible products. 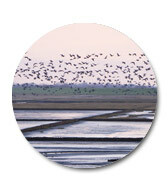 In the Wadden Sea National Park in Lower Saxony, travel by train to the coast is heavily advertised through the campaign “Fahrtziel Natur (Destination Nature),” in cooperation with the German railway company. 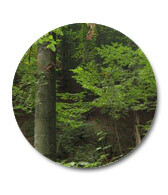 This World Heritage natural property preserves valuable beech forest and its ecosystem. A trilateral management project among Germany, Slovakia and Ukraine started in 2010, financed by a German advisory assistance programme. The project aims to enhance information exchange between protected areas in this serial, trans-boundary property. The network of experts and protected area management bodies cooperate in such fields as socio-economic aspects of buffer-zone management, and the development of joint information materials for better communication and awareness-raising. Sustainable use of natural resources in the buffer zones is a major component of the project. Considering it is essential to link to traditional practices and ethnic and cultural heritage in the region, the project supports traditional crafts, products and ecotourism, in order to strengthen sustainable resource use. A scenic hiking trail, called the “World Heritage Trail,” was planned from 2003 and finally integrated into the site in 2010. It is a circular, 180-km hiking route around the property, passing through all of the villages and cities of the World Heritage site. Thus it links all the main attractions of the region, such as monasteries, museums, old city centres, restaurants, wine estates and apricot farms with the unique traditional winegrowing landscape. The trail helps promote the sustainable development, notably in tourism, throughout the World Heritage property. Within a year of its introduction, the Trail has become a major draw of the site. In 2011, a special guide was issued by the site management office and the tourism marketing board, linking for the first time all of the special offers, guided tours and wine tavern opening days along the Trail.